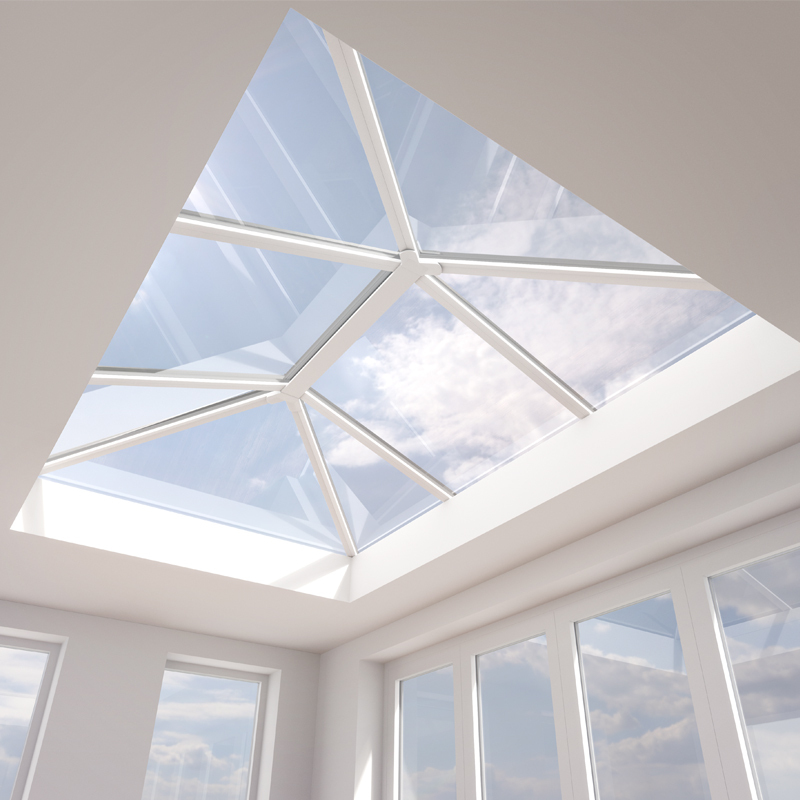 The purpose designed Crystal aluminium lantern roof system is discreet yet stylish. 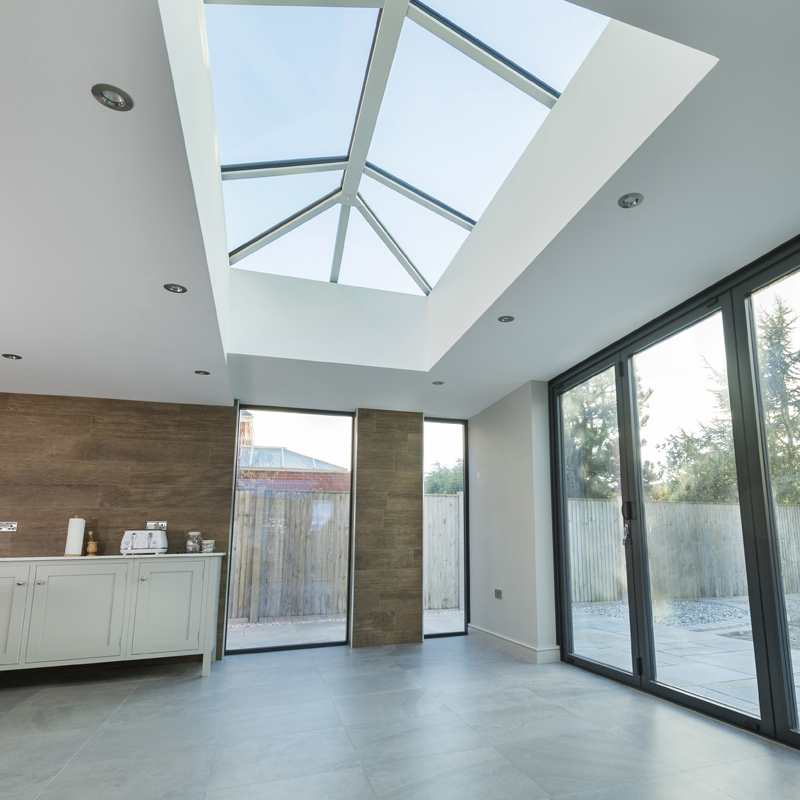 The roof allows light to flood into a home’s interior, the ideal modern lantern solution, coupling sleek contemporary looks with truly outstanding performance. 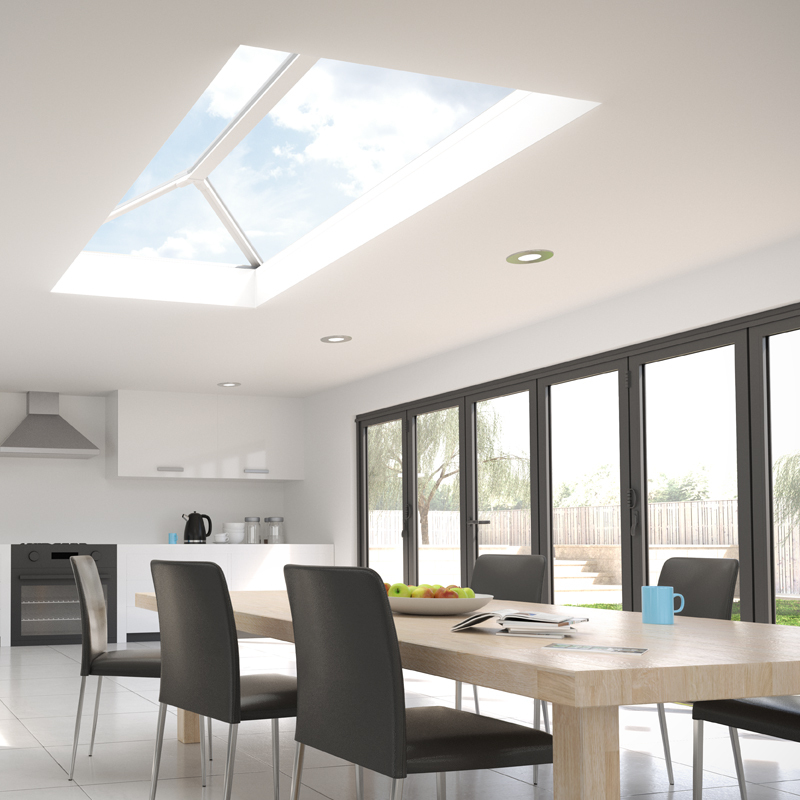 Whether you are building a new kitchen-diner extension or replacing an existing lantern roof, Crystal's lantern roof will help redefine your project, creating light and airy spaces. Download the Lantern roof retail brochure below or visit the download page where you can download a huge range of brochures and technical guides. Crystal's lantern roofs are available in a choice of 2 hard wearing exterior powder coated finishes, with a white interior finish.